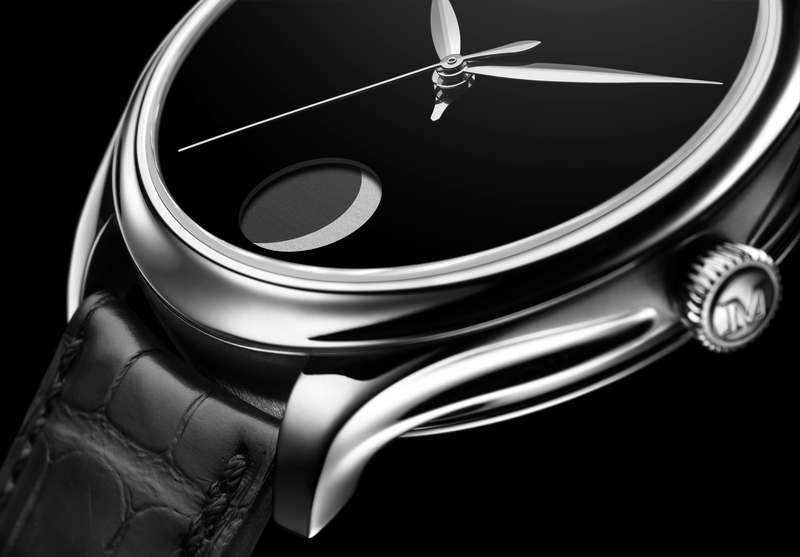 H. Moser & Cie will introduce a new black-DLC titanium version of their Perpetual Calendar wristwatch later this month at Baselworld. The Perpetual Calendar has a function that makes it so the calendar instantaneously changes at midnight, in a split-second, as opposed to more gradually like a traditional calendar. Furthermore, the month is indicated by the short centrally mounted arrow hand that utilizes the hour markers to show the month (when the hand is pointing at 12 o’clock it is January, 1 o’clock is February, and so on). The case measures 40.8 mm by 11.1 mm and has curved sapphire crystals front and back. The crown is screwed-in. 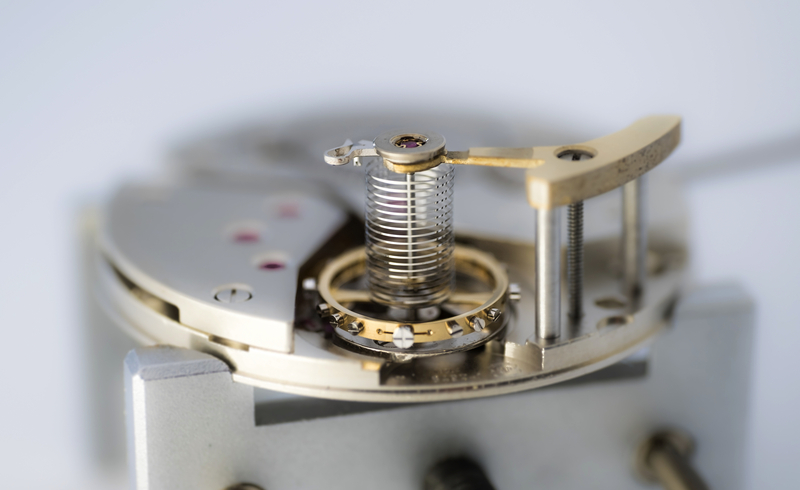 The hand-wound caliber HMC341 is in-house made, runs at 2.5Hz, has 28 jewels, hacking seconds and double mainspring barrels for a power reserve of 7 days (168-hours). The hours and hands are in rose gold, set against as black dial. 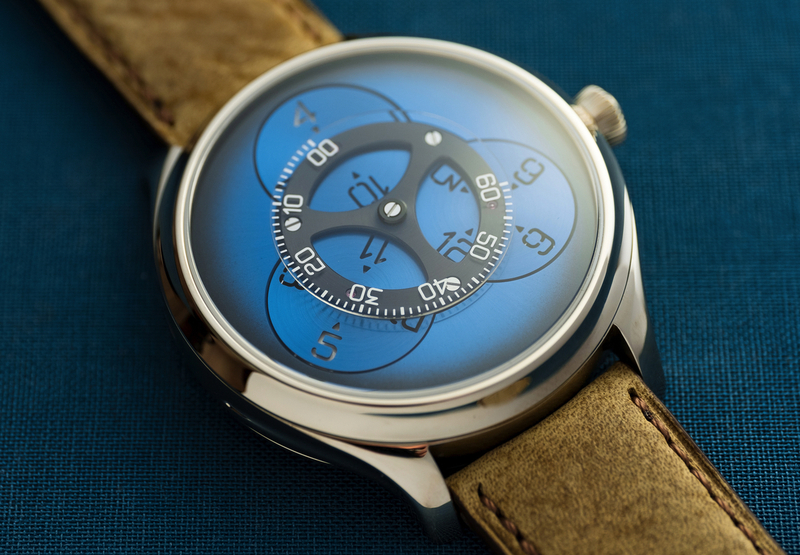 Functions include a big date display at 3 o’clock (with “Flash” functionality for instant date change), a centrally mounted month indication (using the hour markers to represent each month), centrally mounted hours and minutes, small seconds display at 6 o’clock, power reserve indicator at 9 o’clock and a leap-year cycle indicator on the movement side. 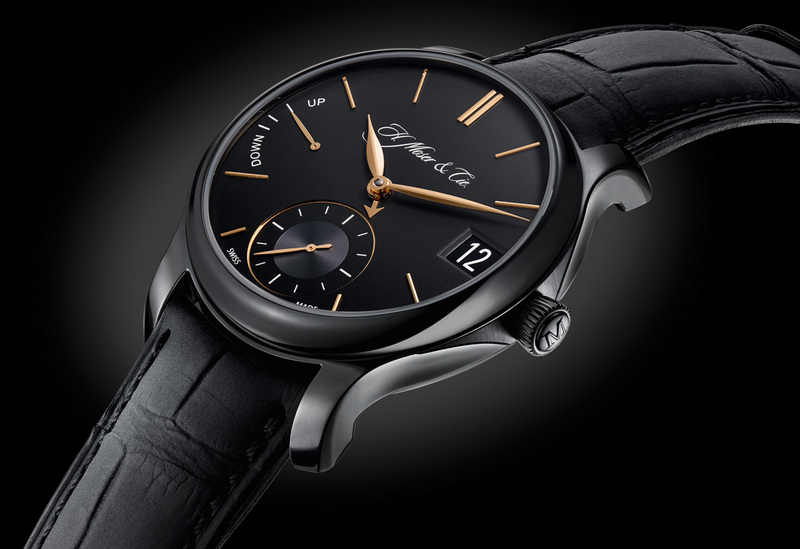 For more, visit H. Moser & Cie.